Active duty military members and reservists from the same branch of the service look and act similarly. They wear the same uniforms, attend the same schools, get the same basic training, have the same grooming standards, etc. It can be hard to tell them apart. Until you gave me their tax returns. I could probably tell them apart in just a few seconds by looking at their tax returns. Active duty and reserve military personnel are treated very differently by some aspects of our tax code. Nowhere is this more pronounced than in the tax treatment of travel related expenses. I was active duty Navy for nearly 24 years, and during that time I never paid for any of the travel associated with my job. From my first day until my retirement day, if the Navy wanted to send me somewhere they paid for my tickets and lodging and gave me money for meals. I never even had to think twice about it. Little did I know my brothers and sisters in the reserves did not always have it so good. When they need to travel for training or drill they often must pay for that travel out of their own pockets. Those conditions make difficult obstacles for most reservists to be able to claim the tax deduction for their travel expenses. Many young reservists don’t yet own a home, so it is more advantageous to them to claim the standard deduction than to itemize their deductions. Conversely, many older reservists have climbed the private sector ladder to decent salaries, meaning the 2% over adjusted gross income threshold would have them paying quite a lot out of pocket for their travel before receiving any benefits from deducting their unreimbursed employee business expenses. Fortunately, Congress carved out a loophole for reservists to bypass the pre-conditions mentioned above. Travel expenses for reservists can take a ‘shortcut’ to the front of the form 1040 individual income tax return, allowing reservists to receive a tax benefit for their travel related expenses without having to itemize or worry about that 2% of AGI threshold. There is one little hitch, though – that ‘shortcut’ can only be used for travel that takes you more than 100 miles from your home. There’s a paragraph in IRS Pub 3 on page 9 that explains how this shortcut works. It is so confusingly worded I was tempted to reprint it here just for comedic value. I’m a tax professional and I had to read it 4 times before I understood it. Let me attempt to explain it in terms I hope will be easier to understand. If you are a reservist, you report ALL your unreimbursed travel expenses (those go on form 2106) just like everyone else. However, if you had a mix of short (less than 100 miles) travel and long (more than 100 miles) you must be able to figure these separately. You add all your travel expenses together on form 2106, then the expenses for travel over 100 miles are carried over to form 1040 line 24. The expenses for the short travel are carried to Schedule A. Schedule A is for listing your itemized deductions. If you do not itemize your deductions you won’t have a schedule A, and your travel expenses for trips less than 100 miles are not going to get deducted even if they are clearly related to your employment as a reservist. If you do itemize, the total of your unreimbursed employee business expenses will need to exceed 2% of your adjusted gross income before they start to count as deductions. 1. You can use them even if you use the standard deduction. You don’t need to itemize your deductions in order to use an adjustment. 2. They are deducted from income before your AGI is calculated. This is an important benefit because eligibility for many other deductions and tax credits are based on your AGI. An adjustment can help make you eligible for additional tax breaks. “John and Rita” were new clients of mine this year. They moved to Virginia Beach from the DC area during 2016. John is a Navy reservist who drills with a reserve unit down in Texas. They brought their 2015 tax return with them when they dropped off their 2016 tax documents. While reviewing their 2015 return I noticed that all of John’s travel was documented on form 2106, but it was all carried to Schedule A as an itemized deduction. None of it made it to the front of their form 1040. After talking to John and Rita I determined all $6,000 of John’s travel expenses were related to travel more than 100 miles from home, and qualified for the special reservist rules. John and Rita’s 2015 AGI was about $145,000, so 2% of their AGI was $2,900. Moving the reservist travel expenses to their correct location on the tax form lowered their 2015 taxable income by $2,900. As they were in the 25% top marginal rate, this lowered their tax bill by $725. But wait, there’s more! John and Rita had a son in college in 2015. They claimed the American Opportunity Tax Credit, but their AGI at $145,000 reduced the amount of the credit they could claim. By moving the $6,000 in travel expenses to the front of form 1040 we reduced their AGI from $145,000 to $139,000. This increased the value of their American Opportunity Credit by more than $500. When combined with the $725 in lower taxes from the reduced taxable income, John and Rita shaved nearly $1,250 off their 2015 taxes by using the full value of the reservist travel expense deduction. We filed an amended 2015 tax return and the IRS sent John and Rita a refund. 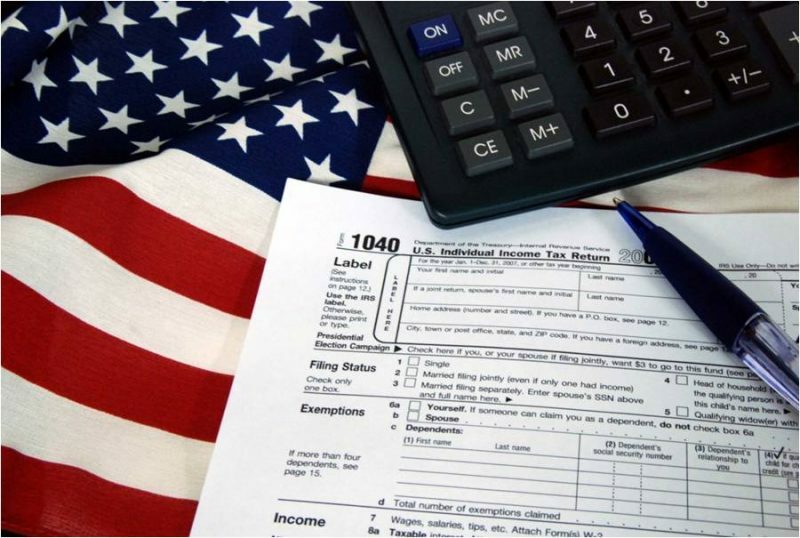 If you are a reservist make sure you are getting the proper tax deduction for your travel, and make doubly sure your expenses for reservist-related travel over 100 miles are showing up on the front page of your form 1040. It can make a significant difference when figuring your tax bill.